Established in 1958 with over 50 years experience selling realistically priced used vessels including Hatteras, Viking, Bertram, Post, Ocean, Tiara, Carver, Chris Craft, Californian, Ferretti, Fairline, Azimut, Bayliner, Grand Banks, Broward, Davis, Westport, Tollycraft, Meridian, Donzi, Egg Harbor, Sea Ray, Jefferson and other quality yachts. Our contacts and market knowledge are unequaled in the industry. Located at 2300 E. Las Olas Blvd. 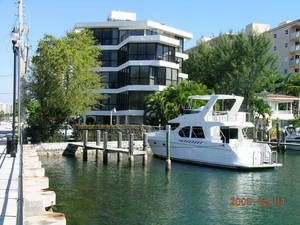 in Fort Lauderdale, FL there are hundreds of yachts for sale within minutes of our office. Buy, Sell or Donate - take advantage of our friendly, personal service.